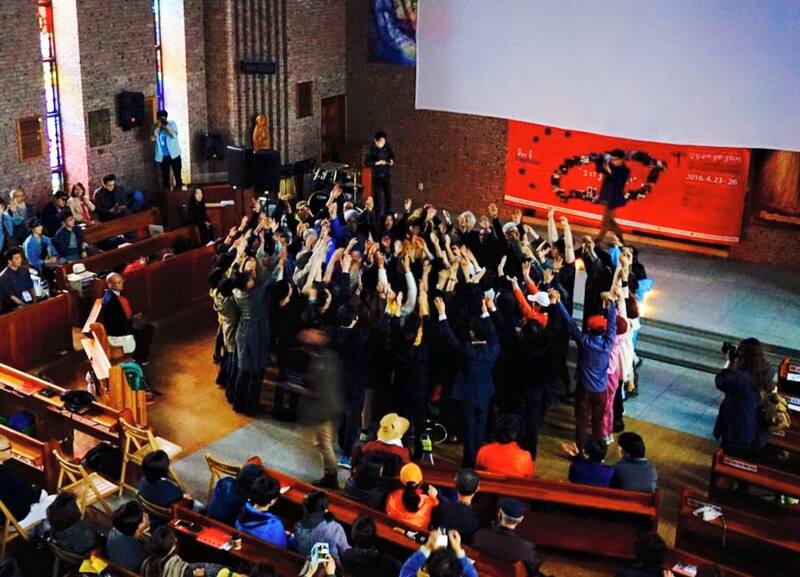 We are announcing the closing of the 1st International Peace Film Festival In Gangjeong. 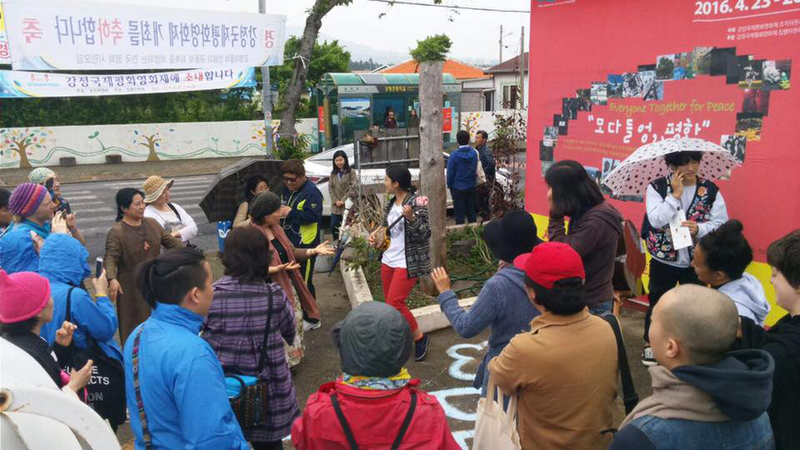 We believe that peace from a small village on Jeju Island will spread throughout the world. 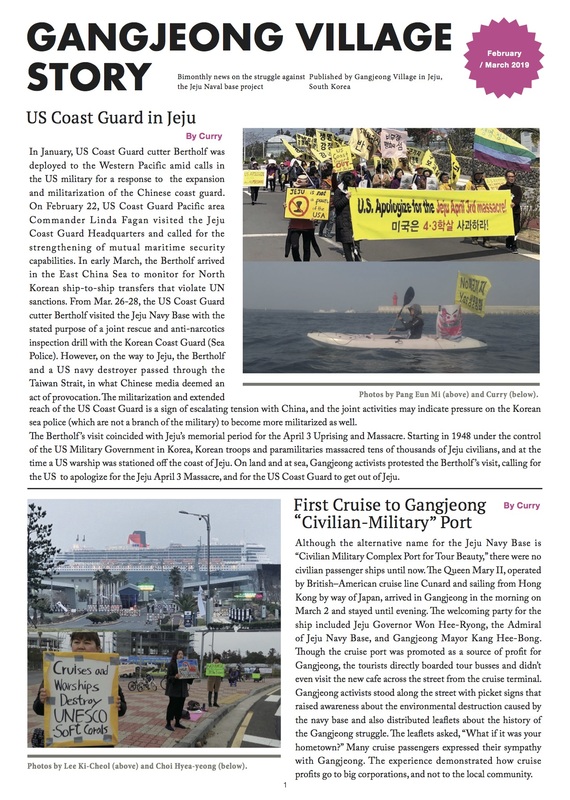 Even though we didn’t have enough time to prepare this event, Jeju islanders and peace-loving citizens from all over the country have voluntarily helped organizing this impressive and moving event. And thus, we are able to successfully close the peace film festival today. We are planting trees of peace in a village where there is a massive naval base. It is everyone’s job to nurture and grow the trees so that it becomes a forest where many different lives can peacefully coexist. We hope that every participant of the film festival will become mountains, waters, forests and winds to blow away all barriers. As the first international film festival on Jeju, and the first peace film festival in Korea, our beautiful arts event will never cease to look hard at the history of pain, and sympathize with the sufferings of our time. We hope we can contribute to transforming Jeju into the island of true peace and Korea into the center of world peace by speaking through our films, by communicating through culture and acting through arts. We will hold hands with the citizens of the world to cast away the cloud of conflict, violence and war. Let us put down uncomfortable weapons, steaming resentment, boiling anger and far-fetched hatred. Let us sit together and indulge in the dark screen as the sparkling lights show up and shine, because the peace we are working to achieve is none less than passionate tears and bright smiles.